It is very intriguing to me the way we’re approaching the building of a non-profit microfinance organization. Whether or not we are sustainable or close to becoming sustainable is a side issue, but what interests me most is including more than just gringos in our operations. 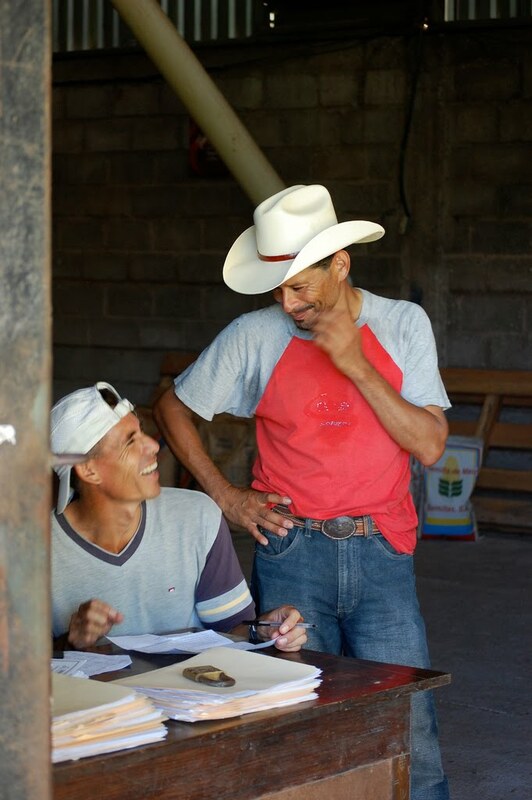 Gilberto and Martir work active roles leading town meetings in conjunction with a locally elected board of directors in each village. Bilingual students contributed to collecting socioeconomic data which helped create the basis of our project. High school students are helping us gather more information on our client and client villages. And a scattered mass of community members help us coordinate logistics, gather resources, move materials, and carry out an array of other small but necessary activities. We’re not only instructing what people are to do for us, but local leaders emerge who take their own initiatives and solve problems when issues erupt. I’m not suggesting that by tomorrow we’ll be able to hand over the keys to Union MicroFinanza to a group of Hondurans, but I sincerely believe and see us heading in that direction. The idea as I see it: empower people economically through microloans, train people to orchestrate these microloans, and one day remove all gringos from local operations and allow the people who we’ve been working with to take the reins and move forward, helping themselves help each other. Certainly, this is a very idealistic perspective, but anything is possible; such as creating a self-sustainable microfinance organization managed, run, and organized by their Honduran neighbors.